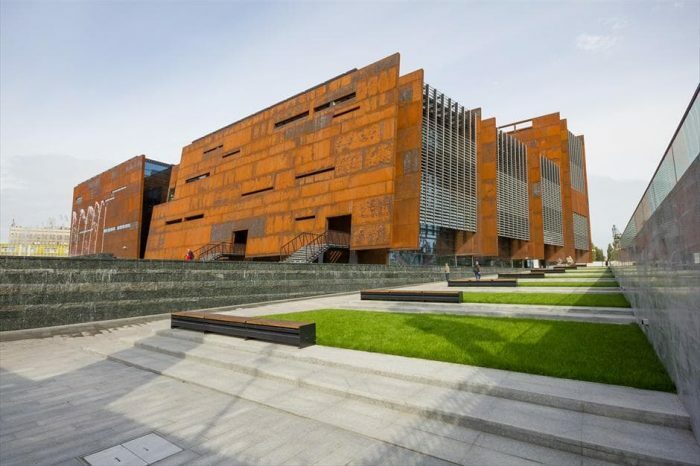 Last August, on the 34th anniversary of the ‘August Agreement’ signing, the European Solidarity Centre (ECS) was inaugurated in Gdańsk, Poland. The new facility, intended as an arena for international dialogue, commemorates the anti-communistic opposition in Poland, as well as the ‘Solidarność’ activity. The complex features the characteristic architecture by Antoni Taraszkiewicz studio, and it refers in its shape and steel elevation to the elements of the dockyard’s hulls. The ECS covers an area of approximately one hectare, and is built on five floors. 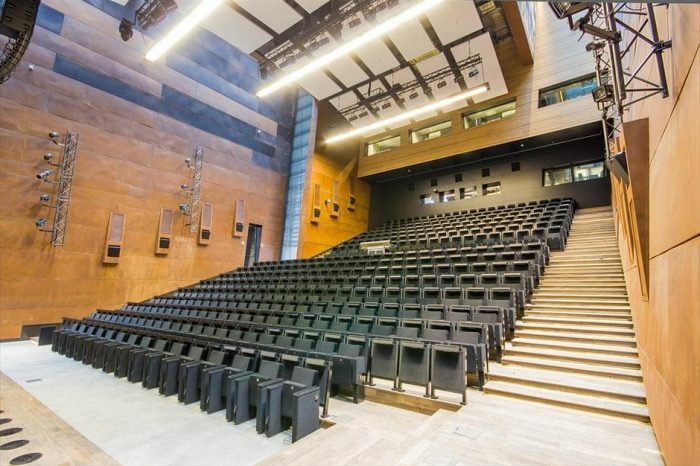 Inside, the visitors have the chance to see the permanent exhibition dedicated to the history of ‘Solidarność’, auditorium hall, library, reading room, archive, research center, educational and training center. P.S. 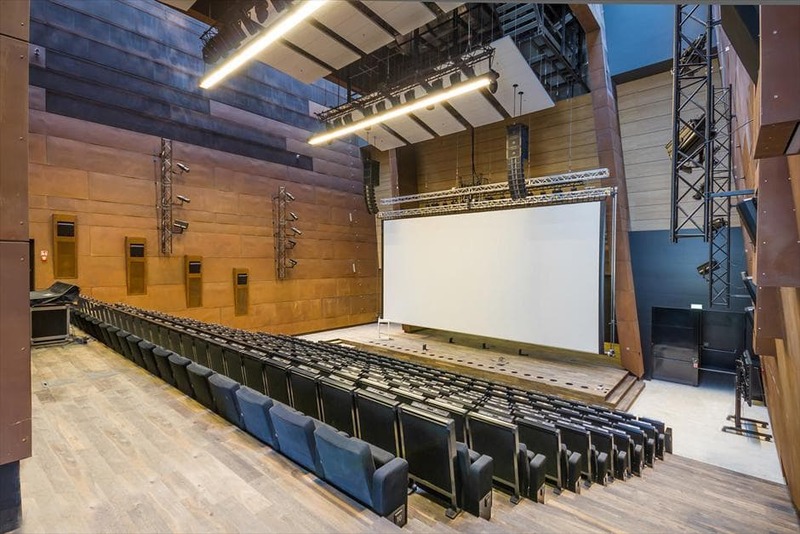 TEATR company was responsible for the design, delivery and installation of the stage lighting system, as well as stage mechanics system of the multimedia auditorium hall. Stage lighting system was designed by Eng. Tomasz Zaborowski. The lighting installation features the MAX moving head projectors; worth mentioning is the fact that the ECS is the first Polish institution that can boast to use these innovative devices. 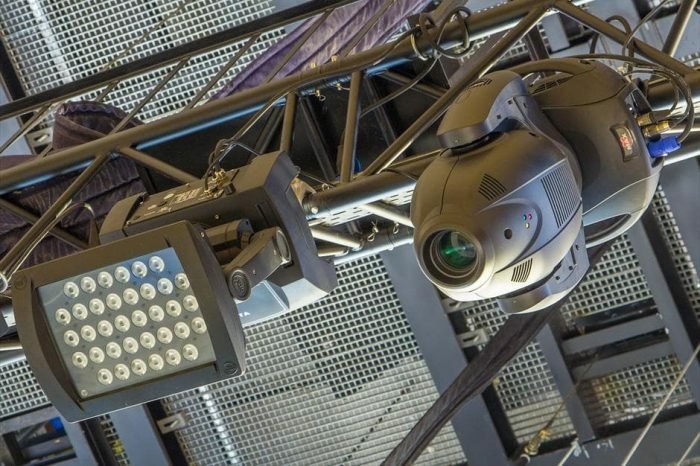 The light rig also features the DELTA 8 R FC high-power LED wall washers.